A search engine optimization (SEO) strategy defines the objectives, techniques, and actions to be implemented to improve your website’s performance in the search engine results page (SERPs). A good SEO Strategy should increase your market share and improve your reputation relative to your competition. If you’re a smart investor, it doesn’t make sense investing your time and money on ineffective techniques. When it comes to the SEO industry, the growth rate is amazing. In 2016, Borrell Associates predicted that by the year 2018 businesses in the United States alone would spend an estimated $72 billion in search engine optimization (SEO) services alone and about $79.29 billion by 2020. There are clear signs that this would happen. After all, $65.26 billion was spent on search engine optimization in the U.S. alone in 2016. One of the driving forces behind these future projections is the growth of smartphones and other mobile devices as they drive online search. In the past, online users searched the web when they were at home, the office, or at a public Cafe. But now they can easily search on the go. This has dramatically increased the market size. Investing in an SEO strategy and optimizing your pages to outperform your competitors is definitely a profitable investment. For most websites, the majority of their traffic will come from search engines such as Google that is why organic traffic shouldn’t be ignored if you own a business. If your customers can’t easily find your website in the search results, you’ll struggle to generate leads and grow your business’ revenue. The exception is if you use other marketing channels such as Facebook or Adwords but these will cost you money and the more competitive your niche the more it will cost you. Investing time or/and money in optimizing your website is an integral part of your SEO strategy. The return on investment (ROI) will always be higher than that of other acquisition channels over the long term. According to research, SEO generates more leads than paid search, social media, or display advertising. Indeed, SEO is “cheaper” and allows you to be less dependent on paid channels like Google Ads and Facebook Ads. Developing a winning strategy will help you rank higher in organic listings for competitive keywords and help you grow your business long-term. Here are 5 steps to help you create an effective SEO strategy for achieving revenue growth. No, an SEO strategy doesn’t have to start with keywords. 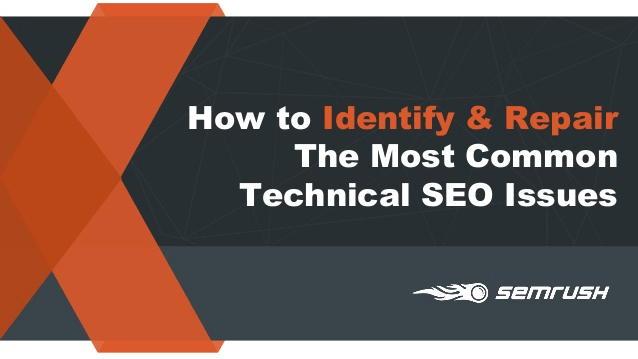 In fact, the modern SEO doesn’t focus on keywords but on searcher’s intent. If an online user searches for real estate in Miami, for example, you’ve got to understand their primary and secondary intents. It’s obvious they want to first find real estate opportunities. Next, they want to make sure these opportunities are available in Miami. Being able to blend in the primary and secondary intents together in your content is the key to ranking high in the search results — assuming the keyword is less competitive and you have strong inbound links from other related websites. That’s why it’s important to identify underperforming pages on your website that needs to be optimized for search. Find distinct pages that target keywords but failed to address the main intents of the searcher. Using this as a starting point gives you the opportunity to structure your website and understand how many pages need to be worked on. If you’re offering a service, then your ‘service’ page and the page isn’t ranking in the top 10 for its main keyword then that would be a good place to start. Start by asking yourself some questions. Is the keyword too competitive? 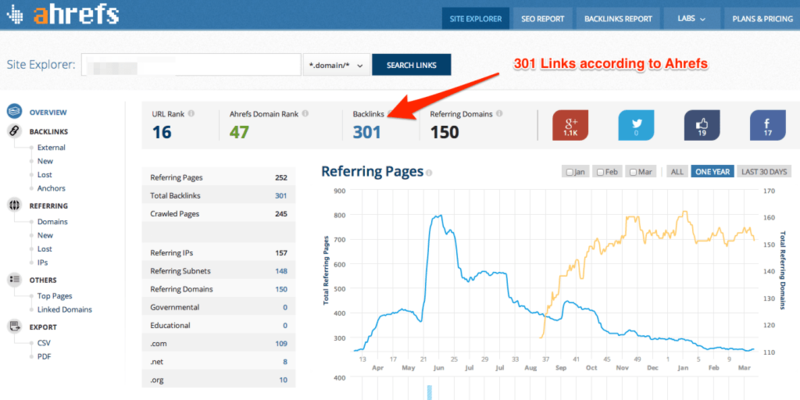 Does the market have a lot of authoritative websites that have stronger backlinks than you do? Is your content thin? 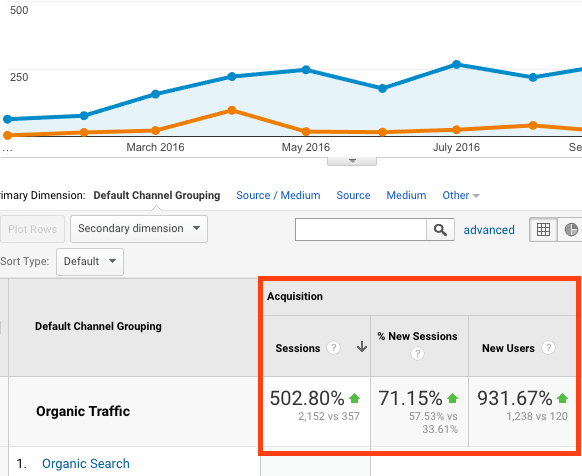 You can check your landing pages in Google Analytics to determine which of the pages generate the most page views and which ones to improve upon. To get better results, start with a few pages (5 to 10 pages). When you’re done improving the content of these pages, building trusted links to it, interlinking it, and adding some visual appeal to it. Every business with a website can benefit from a search engine optimization (SEO) competitor analysis. A detailed competitive investigation will take a look at what is working for your competitors and help you enhance your own strategy. There are several tools that you can use. 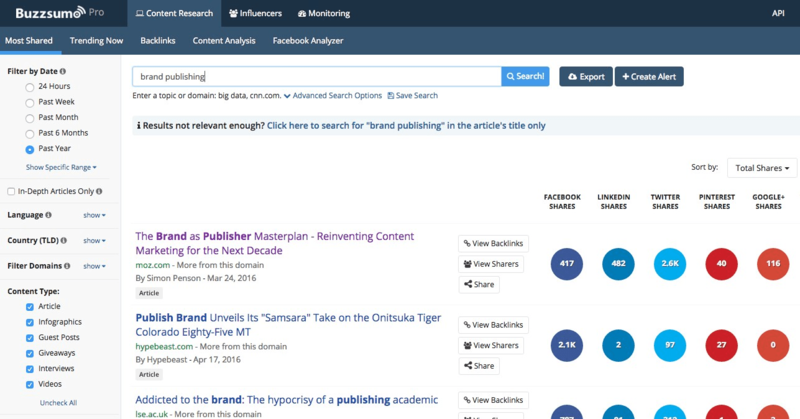 I like to use SimilarWeb to find traffic sources and Ahrefs for competitor keyword analysis. Using SimilarWeb, you can find out how many visitors your competitor’s website has and which channels these visitors came from. 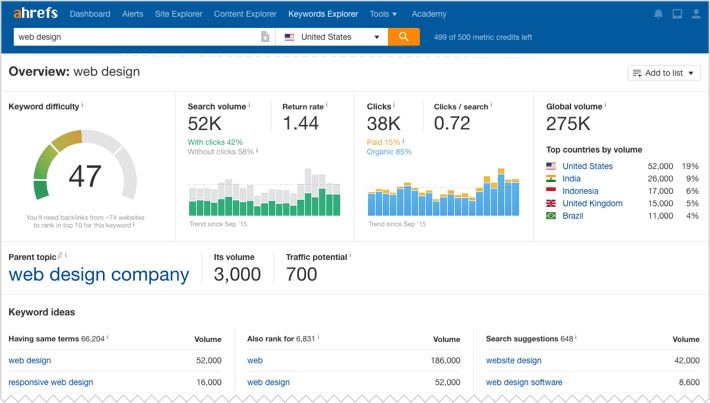 With Ahrefs we can learn which search terms our competitors are targeting and even find competitors that we may not have thought about. You want to get more relevant and trusted links to your website. With Ahrefs you can simply search the link sources of the competition and see what strategies they are using to secure links. Compare your social media with those of the competition. If a competitor is getting more social shares, tweets, likes, and comments, then find out why. Maybe they have a bigger social following, or perhaps they’re spending money on social media ads. An SEO competitor analysis not only serves to reverse engineer what is working for your competition but also supports your efforts to design an effective SEO strategy. One of the keys to success in SEO is to pay attention to the ‘process’ and not the final results. Why? Because the final results don’t teach you anything but the process does. And once you have a successful SEO process it is easy to replicate it for different business models. That way, you’re able to capture new users without reinventing the wheel. That’s why it’s good to compare different SEO strategies. Should all your pages target long-tail keywords even when you’re sure you can rank for a head term that has more searches? Also, look for technical and structural issues your website might have. It’s about identifying the factors that negatively affect the visibility of the site. Are their duplicate content issues, broken links, thin content, etc? Differentiate between tasks with relatively little effort, but which quickly show results, and tasks that can not be solved overnight, but in the long run, leads to success. When working with very large sites it is important to focus on what will make the biggest impact and on the sites most important pages. An important step to take in your SEO strategy is to understand how users behave when they land on your pages. I’m talking about those pages you’ve identified in step #1 which you want to improve. How do people behave when they visit the pages? Do they even read the content, how much time do they spend? Do they navigate to another page or exit? 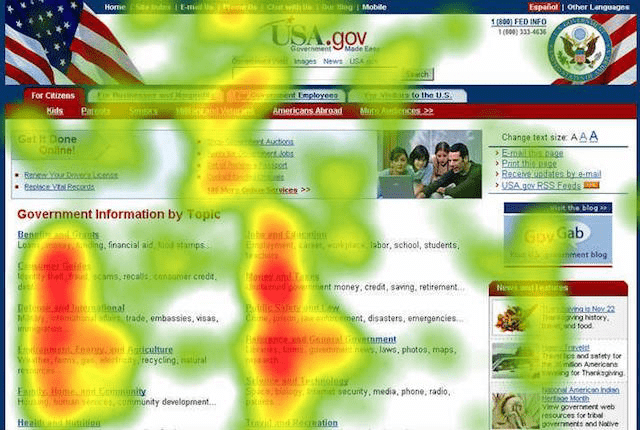 You can add a heat map code to track users’ behaviors on your web pages. This will show you which sections of your page they’re clicking and why. Tools like Hotjar, Lucky Orange, or CrazyEgg are my favorites. 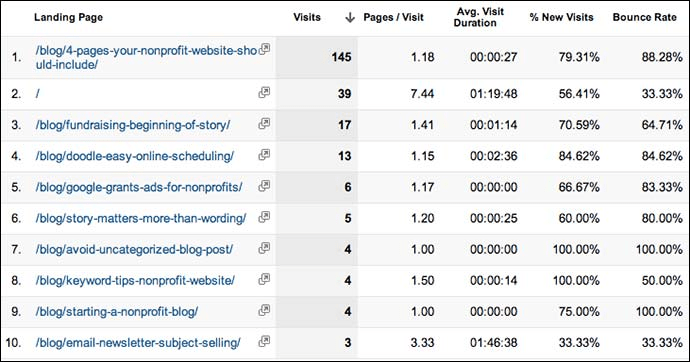 See just how visitors are interacting with your pages compared to how you expect them too. Are your pages easy to use? Are visitors seeing the most important part of your page? Are they converting? You can use heat maps to answer questions like these and take appropriate actions to make sure you are getting the most out of your pages. Set up Your Google Analytics: To be able to control any aspect of usability, you will have to know if the users who visit the web navigate correctly and meet the objectives set by the business. Calls to Action: Also known as CTAs. Make sure your CTA links and buttons are sufficiently visible and not hidden on your web pages. Search engine optimization isn’t a one-off project. Don’t set it and forget it. Always endeavor to make the necessary improvements and corrections when common problems are detected, such as error pages, slow loading pages, high bounce rates, etc. As with any SEO strategy, it’s essential to have planning, control, and monitoring process figured out even before you start to implement your strategy. This will make it a lot easier to measure the performance of all the strategies that are applied so that you can see better results in your search traffic, ranking, leads generation, and revenue. At the end of the day, keywords, content, and inbound links are going to be at the heart of your SEO strategy. Keywords shouldn’t come first in your strategy but will play an important role in helping you get traffic that will convert. Get to know your audience. Create content that your targeted audience will find useful and actionable. Keywords are important but only when put into the context of creating content that is targeted to engage prospects and customers. Thomas Swisher is the founder and SEO Consultant at Structured SEO. Thomas does analytics by day and SEO by night. When not crawling a site he can be found in the mountains of Idaho snowboarding or mountain biking. We’d love to hear your thoughts on this article. You can find us on Twitter! Not sure where to start? That’s ok. Give us a few minutes of your time to discuss your current problems and we will help you identify solutions.